The threat of a continued outage in a critical business processes can have major consequences for an energy or utility company. 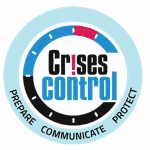 In an era of instant information, stakeholders demand to know whether an organisation is prepared to react appropriately and ensure continuity of operations. Recent disasters and their associated impact in Middle East and North Africa have highlighted the importance of system availability, forcing senior management to have contingency planning on the forefront of their minds. 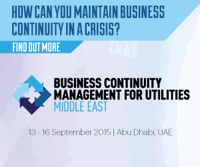 The Business Continuity Management for Utilities Conference will be held from 13 – 16 September 2015 in Abu Dhabi, UAE, to help organisations develop their Business Continuity Management (BCM) and Crisis Management (CM) learning road maps. The conference will equip business leaders with the tools needed to, not just survive, but thrive in this new world of risk. The BSI has confirmed that the new International Standard for Business Continuity - ISO 22301 Societal Security Business Continuity Management Systems Requirements - will be officially published in mid May. We expect that copies will be available for purchase from around the 15th May from this official link. With the publication of ISO 22301 it is expected that many countries around the world will formally adopt the International Standards Organization Standard for Business Continuity, enabling much greater international consistency to be realised between national requirements and better meeting the needs of global organizations. In addition, as part of the ISO framework of standards, the new format helps create opportunities to manage what have often been independent systems in a more integrated way through common terms and processes. This should assist in better embedding of the various management systems available from ISO within organisations. Last year Continuity Forum reported on E.ON UK’s accomplishment in achieving BS25999-2 certification across its Business services, with no non-conformities found . Recently, following a Continuing Assessment surveillance visit by BSI auditors, E.ON UK has been successful in maintaining its Business Continuity certification - again with no non-conformities found. For some time now question marks have been placed against airports and their Business Continuity and resilience capability. In the past year alone we have seen at close hand the global chaos caused by the volcanic ash cloud, while more recently we witnessed some of Europe’s leading airports struggle to maintain operational readiness during periods of heavy snowfall. If we go back a little further there are other striking examples, all of which add to the pervading view that airports cannot cope effectively when placed under duress and that their Business Continuity need to be improved. 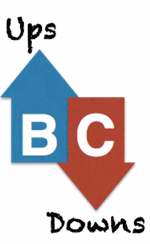 The Continuity Forum 'Building the BC Plan' event is aimed at those looking to develop their Business Continuity skills, or those at the very start of the BC Planning phase within their organisation. Within small groups we explore what BCM means to your organisation and how you can meet your obligations to customers and other stakeholders in an efficient and comprehensive manner. Does the phrase continual improvement turn you cold? 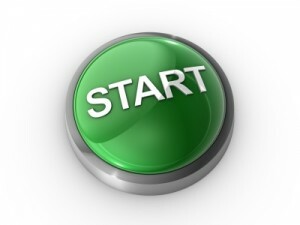 Do you feel under pressure to keep reinventing the Business Continuity Management System (BCMS) wheel? If you think that you have to find new ways to improve your Business Continuity system every day for the rest of your life, relax. 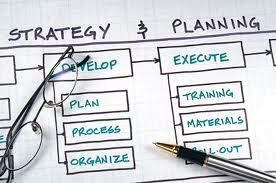 Continual improvement is a state of mind as much as identifying tangible improvements. Take a look at what is meant by the words continual and improvement.